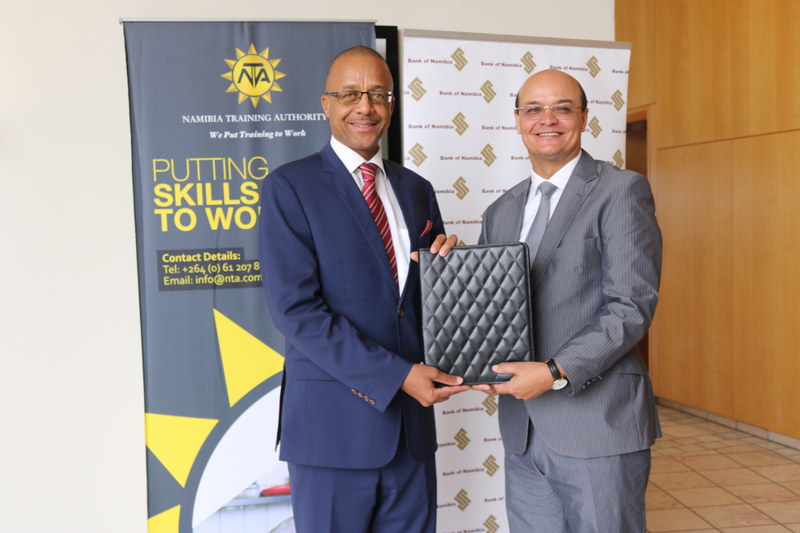 THE Bank of Namibia (BoN) and the Namibia Training Authority (NTA) have signed a Memorandum of Understanding (MoU) to support the NTA’s apprenticeship programme that is aimed at improving the quality of artisans emerging from the Technical and Vocational Education and Training (TVET) sector. 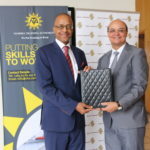 BoN Deputy Director: Corporate Communications, Kazembire Zemburuka, stated that the central bank has long considered the TVET sector as an enabler of economic growth through skills development and employment creation. The bank’s recently held annual symposium, which focused on the TVET sector, brought to light a number of shortcomings which constrain the sector from realising its full potential as envisioned in the fifth National Development Plan (NDP5), and the Harambee Prosperity Plan (HPP). Zemburuka further stated that stakeholders at the symposium identified the need for relevance and responsiveness of training programmes as a critical undertaking, which requires a concerted effort from policymakers, regulatory bodies, training institutions, and industry role-players towards equipping the next generation of artisans with the requisite skills to spearhead Namibia’s industrialisation drive. The apprentices will be contracted by participating employers and assigned to experienced mentors to induct them and train them on-the-job in specific occupations. Zemburuka added that the apprentices will gain much needed skills through industry exposure and that their training will be complemented by theoretical training at identified Vocational Training Centers for agreed periods to guarantee a sound blend between theory and practice.